• Ensure students understand that they are not restricted to the pieces they are learning in lessons. They can play songs they like to listen to, too. Teachers can help them figure out the notes if they know what they want to play. 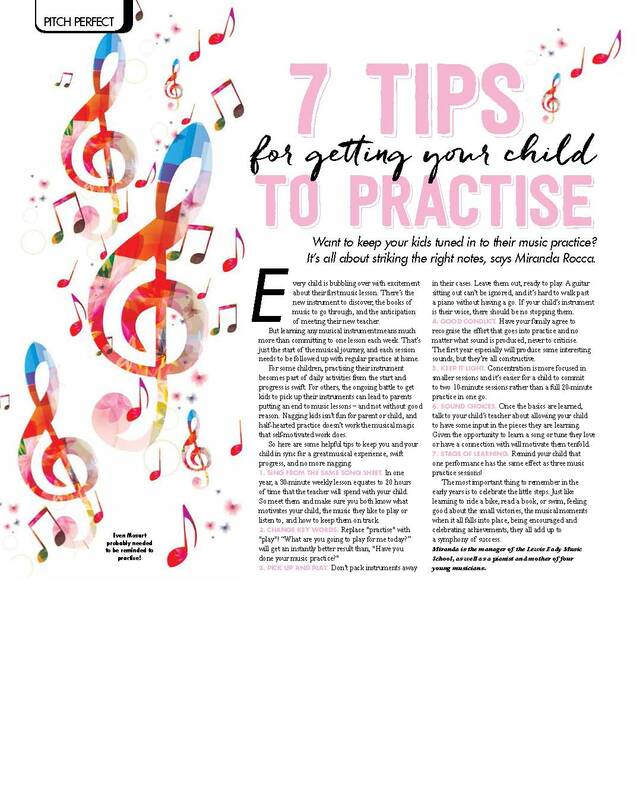 • Musical skills and knowledge on one instrument can be transferred to many others so if you are as an example having piano lessons now and decide to switch to guitar later, what you have already learnt will be incredibly useful. Over the last few years, we have had several articles written by our team and published by our friends at Tots to Teens magazine. We’ve put the articles together in this leaflet. Cheers for the email... a leaflet is on its way to you! Please note - a 4 week notice of cancellation period applies. Online Music Theory - Music Ecademy! This fun online course is packed full of quizzes and games which take musicians from a beginner music theory level right through to Grade 5. The course is easy to use and self directed featuring thousands of possible questions in hundreds of quizzes, badges, leader-boards, levels and games to help motivate students and keep them engaged. 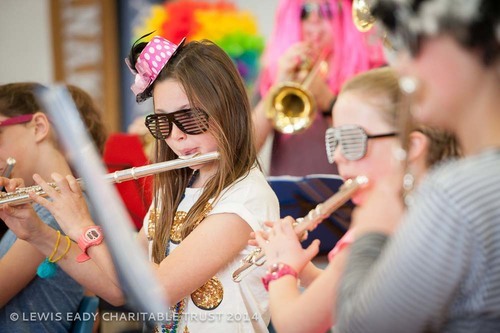 Music Ecademy’s comprehensive curriculum follows the major examining boards. Childrenwork independently and our teachers have access to their students’ progress data so they can easily determine where students are excelling and where they may need extra help. Lewis Eady students to access Music Ecademy for only $30 per year (usually $79!). Simply visit www.musicecademy.com/sign-up-nz-annual to sign up and enter LEWISEADY in the coupon box to access our special price. Will Allardice joined Lewis Eady in 2014 teaches guitar, electric bass, ukulele and mandolin. Will started playing guitar at school (both classical and pop styles) and after university, completed Trinity classical grades and has been teaching students of all ages – beginner to advanced, in the Wellington region for over 25 years. Will’s interest in music/guitar ranges from early classical to the present day so he has an extensive collection of teaching material and expertise. Will plays classical concerts and also electric guitar in a covers band. An old boy of St Patrick’s Kilbirnie with a Bachelor of Hoticultural Science from Massey University Will enjoys running and tennis in his spare time and a long black coffee! Gin Nansen first joined Lewis Eady in 2008 and we are delighted to have her back this year teaching piano for us at Pt Chevalier and Ponsonby Primary Schools. Gin also teaches Pre-School Music for us at Lewis Eady Music School (Great South Road, Epsom) on Saturdays. Gin is a singer and musician who loves performing and communicating her passion for music to others. She completed her Master of Music Degree in Performance at the University of Auckland in 2012. Gin also holds ATCL in Speech & Drama from Trinity College, London and attended Excel School of Performing Arts as a contemporary vocal major. More recently Gin attended Hillsong International Leadership College in Sydney to pursue her love of gospel worship music - and was showcased on an international stage in Hillsong album recordings. We teach music at Balmoral Primary, Bayfield Primary, Churchill Park School, Epsom Normal Primary, Freemans Bay School, Glendowie Primary School Hobsonville Primary, Kohia Terrace Primary School, Kowhai Intermediate, Marist Primary Herne Bay, Maungawhau Primary, Mellons Bay Primary, Newton Central School, Orakei Primary, Parnell Primary, Pasadena Intermediate, Ponsonby Primary, Pt Chevalier Primary, Remuera Primary, Richmond Road Primary, Royal Oak Primary School, Sancta Maria Primary, St Joseph’s Primary, St Leo’s Primary, St Michael’s Primary, Takapuna Primary, St Teresa's (Karori, Wellington), Stonefields Primary, Waakaranga Primary and Westmere Primary School. Thank you for choosing Lewis Eady as your musical partner. We hope you’ve enjoyed the beginning of the year with us.